(2)-1/4"X7"DRILL BIT. (2)-5/32"X7" DRILL BIT. (2)-3/16"X7" DRILL BIT. Patent pending corner fit feed system. Slide button bit change. our error. We are not an authorized dealer of this product and any warranty included with the product may not be honored by the manufacturer. 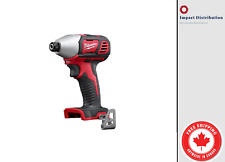 2 CRAFTSMAN Offset Chisel Scrapers 1" x 9" and 1 1/2" x 9 3/4"
Capri Tools 20015 Letter and Number Metal Stamp Set, 1/4"
Milwaukee Ship Auger Bit 48-13-5930 Nail Cutting Tip Impact Rated 15/16" X 18"
Hilti Wet Core Concrete Bit goes through rebar BI 1-1/8" X 12"
This sale is for ONE SET of THREE NOS SK Hand Tools made 9mm - 14mm WRENCHES. This set includes: 9mm x 11mm (#8809), 10mm x 12mm (#8810) & 13mm x 14mm (#8813). 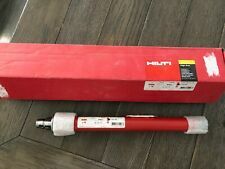 Hilti TE-H28P SM 40 #417824 1 1/8" POINTED CHISEL 16"
This sale is for ONE GROUP of FIVE NOS SK Hand Tools made 11mm (#42311) & 5/8" (#42220) 6-POINT FLARE NUT CROWFOOT WRENCHES, 15mm (#45815) & 3/4" (#45724) CROWFOOT WRENCHES & 1/4" (#70004) OFFSET SLOT SCREWDRIVER. This sale is for ONE SET of FOUR NOS SK Hand Tools made 17mm - 20mm 12-POINT COMBINATION WRENCHES, CHROME & BLACK SET. Included in this set are: 17mm black (#38317), 18mm (#88318), 19mm black (#38319), 20mm (#88320). Used for Rock Drilling in Mines or Construction. 2 boxes yielding 50 units/ box. 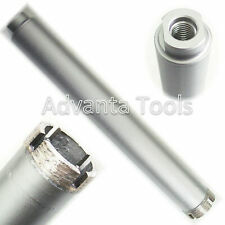 32mm 1 1/4" 12 Degrees Cross Bit. Cb t22 32 12. 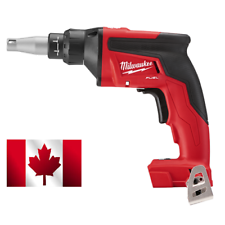 This sale is for ONE GROUP of FOUR NOS SK Hand Tools made 9mm x 11mm & 13mm x 14mm WRENCHES. This set includes: three 9mm x 11mm (#8809) & one 13mm x 14mm (#8813). An X-shaped pointed tip and four cutting edges make thisTE-CX 1/4 in. 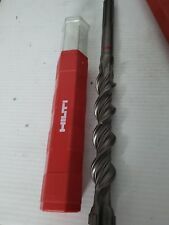 masonry drill bit from Hilti a real workhorse. AnX-shaped pointed tip and four cutting edges make this TE-CX 3/8 in. 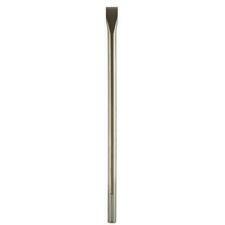 AnX-shaped pointed tip and four cutting edges make this TE-CX 1/2 in. 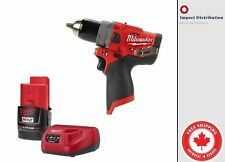 HILTI BK 2" F , TE-F-BK CORE BIT , USED, READ! !